There is a haze surrounding the Sound this month; the heat is here and it’s time to get smoking. 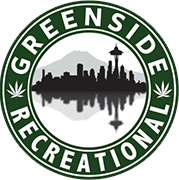 Set the standard with your puffing pals by bringing one of Seattle’s top cannabis products of June to your next sesh. From seed to sale, Artizen strains are hand-tended with care. DutchBerry is like a Blueberry daydream. The euphoric nature brings out the sickly sweet flavor tenfold. Time to hit the hammock? Grape Ape is a legendary indica perfect for watching the grass grow on an afternoon in June. Overall, Artizen is bred and grown with the cannabis connoisseur in mind. From the Tier 2 producer’s volunteer efforts with the Arlington Cannabis Coalition to their “Light Up the Moment” movement, Western Cultured is a true representation of the PNW mentality. Perma Frost and Dutch Treat are two of their most popular offerings, both shining stars in their own right. Perma Frost is a steady hybrid that will keep you perma-baked. Dutch Treat is for those seeking something cosmopolitan; the strain was first spotted at cafes in Amsterdam. Inflorescence: a group or cluster of flowers. Such a humble name for a Tier 2 producer of some of the finest flower available in Washington State. It’s no secret that Inflorescence knows how to make a top shelf pre roll at a killer price. Summer’s here and longer days mean longer joints! Be bold and pick up one of their four gram joints at Greenside Recreational the next time you want to feel the burn.